Updated March 2, 2016 Here is the list of recipients of as recognized by the All Around Alaskan Malamute committee. You can learn more about these dogs on the Our Amazing Malamutes page, see Award Recipients. To apply: send $20 (application fee in US $) and 3 copies of each document that shows meeting a qualification to the committee chair. A written statement is needed for the Temperament requirement. There are 3 levels in this program AAAM, VAM and SAM. We are finding the use of an email message containing scans of the application works very well. So if you wish to apply for a SAM, VAM or an AAAM, please >>email<< your application and snail mail 1 copy with the $20 application fee if possible. Temperament: This is a BIGGIE! Written verification by a neutral party of what the dog has done in public contact. Neutral party could be a club representative if the program was a local club program… could be a school teacher or principal from a school demonstration…could be an administrator from a nursing home…someone neutral, preferably official. A Therapy Dog certificate, TT title, CGC title, etc., are not enough to fulfill this requirement, but if the dog has them, including them certainly wouldn’t hurt! Hands-on public contact experience is also a major ingredient in this requirement. Be sure to include all examples that apply and at least a rough estimate of the time spent at each. This is important. Miscellaneous: Optional (or possibly a replace for one of the FIRST five categories). A Tracking Dog certificate, or a verification of work in Herding, Search and Rescue, etc. IMPORTANT POINT! The Temperament requirement of these titles is never to be waived or traded off. 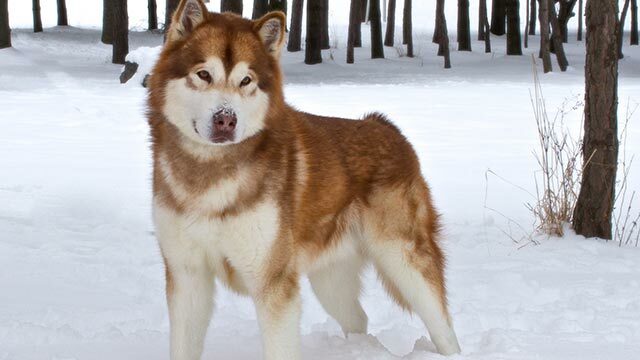 It is a definite requirement for the All-Around Alaskan Malamute, the Versatility Malamute and the Serviceable Alaskan Malamute.